When a certain part orientation or capture point is required to either protect your part or simply provide the best ease of access for your operators, foam trays and inserts are a great alternative to standard cell packs or thermoformed trays. 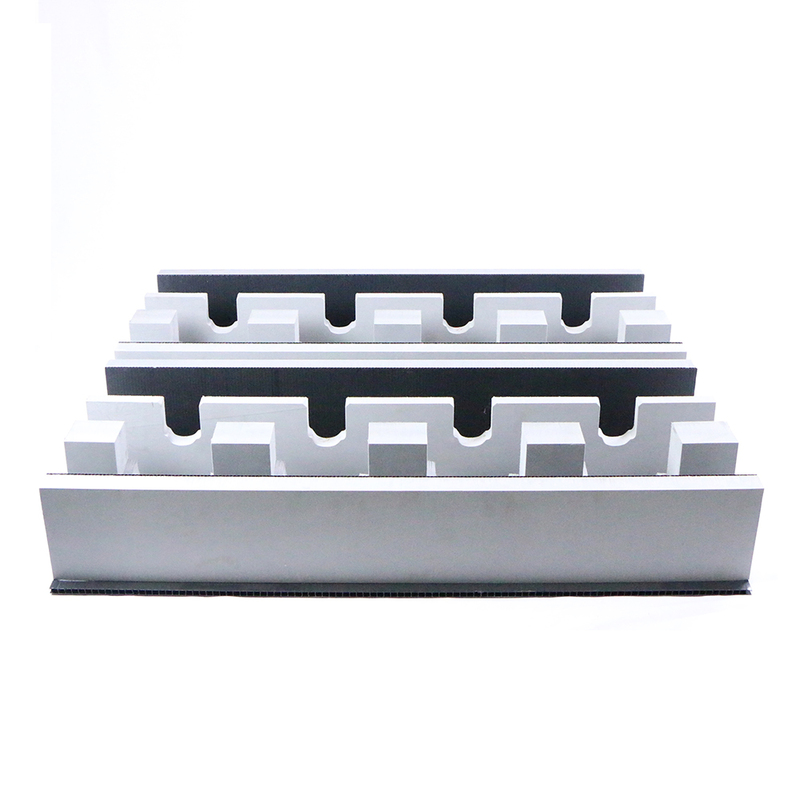 Because we waterjet cut our foam, there is very little tooling associated with this type of packaging and changes during design or post production are easy to implement, both of which will save you money. 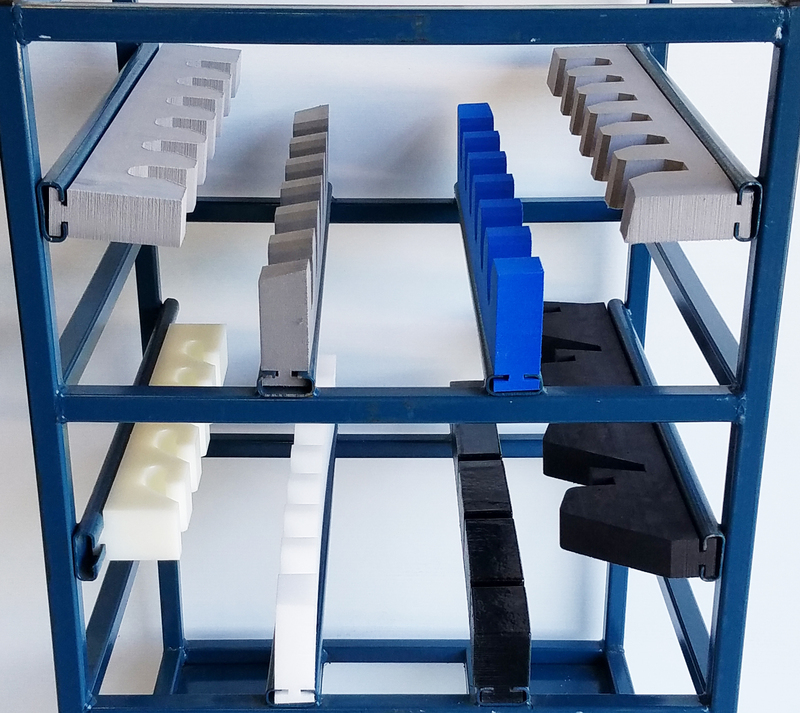 From slotted foam rails to complex cell assemblies and bags, we have a lot of experience when it comes to rack dunnage. Whether it’s an existing fleet that needs new dunnage or a new build, we can work with you to develop a solution that meets your needs. We understand the importance of Class A parts arriving scratch and damage free. 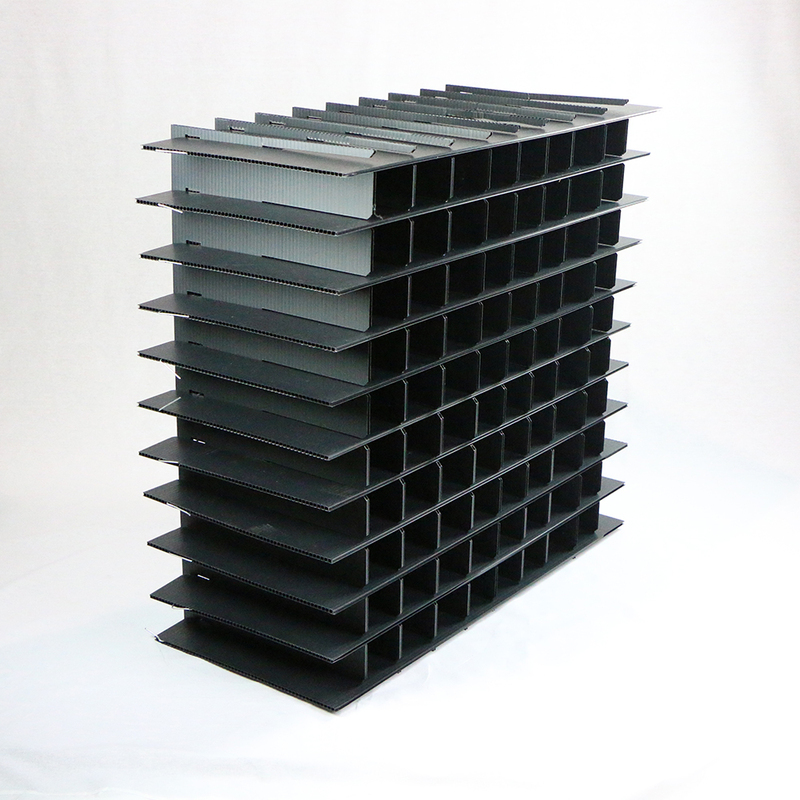 Plastic corrugated and textile material have several Class A lamination options. When it comes to foam, crosslink is the best option. Balancing part orientation and capture with the right material or combination of materials gives us the ability to tailor a pack that meets your protection requirements. 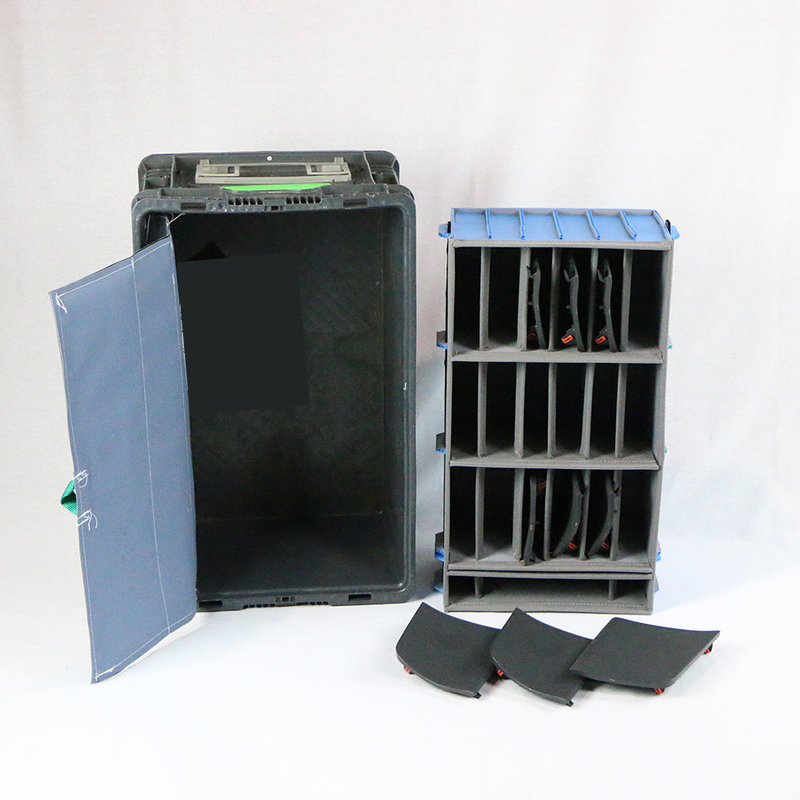 Have a part that doesn’t fit a standard injection molded tote or would like to maximize trailer density by shipping less air? 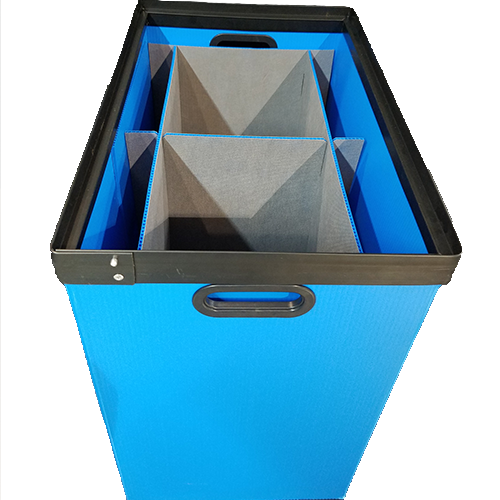 Not a problem, we can make a custom tote to just about any size and durability needed. From dividers to layer pads, we wouldn’t have returnable packaging without plastic corrugated. Its versatility and multiple sizes, thicknesses, and lamination options make it an effective option for a variety of applications. The inherent properties of fabric such as flexibility and thinness allow for increased pack density. 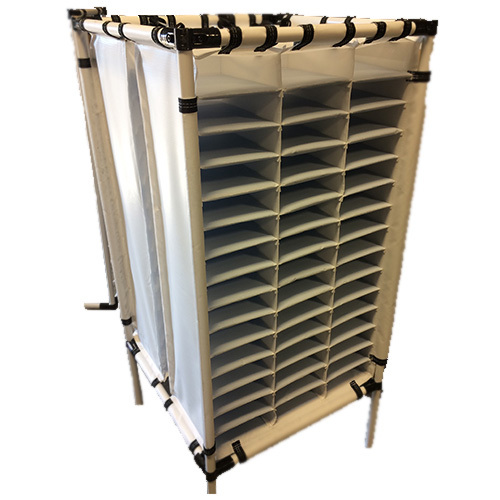 Whether it be a collapsible divider, tote insert, hanging bag, cover or curtain, there are many different returnable product options using textile fabric.